Here are some words to use when you want to change your child’s behavior without yelling, spanking, or being angry. Show that you understand why he wants to do what you don’t want him to do. “I know that you want to stay on the playground longer, but…” or “I know that you want me to buy candy for you, but…” You can say no to an action without shaming the child for his reasons. Give a brief reason why you can’t do what she wants you to do. Offer a solution or an alternative. Remind her that there are other choices. You can say, “Would you like to pick out a pack of sugarless gum or an apple instead?” or “We can’t stay now, but we can come back tomorrow.” Be consistent in following through on these choices. Let your child know that you believe in his ability to do the right thing. Set firm limits and rules children can understand. Share as many happy times together as possible. Let him know you enjoy being with him. Laugh, play, hug, and cuddle your child. Compliment good efforts even if the result isn’t perfect. Talk with and read to her. Doing these things lets children know that they are important to you and encourages them to want to please you. 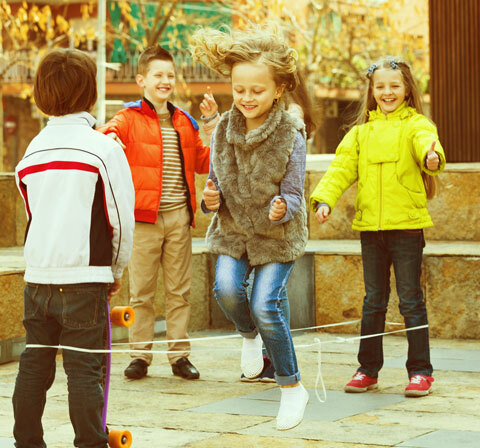 It takes time, readiness, and practice for children to learn to follow rules just as it does for them to learn physical skills, such as walking, or social skills, such as sharing. Learn more about typical behavior for your child’s age. Try to let them know that you are the leader and that you are there to help them grow. Adapted from Positive Discipline. (1990). ERIC Digest. Champaign, IL: ERIC Clearinghouse on Elementary and Early Childhood Education.